I was born to be a beach bum and raise little beach bum babies! I cannot get enough of the style, fashion and the actual beach! I just want to live in my swimsuit and play in the sand. Like a vacation, you don't have to wake up for much besides breakfast, play all day and fall asleep cuddling your favorites, on the beach. I love the color tones of the beach and a pop of color from fruit, fun houses or even a swimsuit. But for now I will change stinking diapers, wipe away tears and love the crap out of my three favorites in Southern California! I've gathered a few of my favorite beach must haves. I tried ordering the two piece suit and it is sold out! Usually the story of my shopping life, if you don't order it when you first see it, you'll never own it! So hoping it comes back in stock soon so I can hit the beach and build sand castles with Adie and chase Aden around before he face plants in the sand. I am obsessed with the round towels that can be used for more than lounging around! They even make petite sizes for your little people. Cannot wait to get our hands on a few of them. I have loved my birks and need them in every stinking color. Black is a staple piece and will look perfect with the two-piece suit getting sun on my new round towel. I love the one shoulder one-piece paired with my favorite sunglasses ever. The Toms sunglasses were one of the best purchases of 2016 ha ha! Just like their shoes, they give back so fashion for a good cause is a no brainer. #WIN! I bought the fedora hat after seeing on of the bloggers I follow wear it and it's on sale! I follow Lauren Conrad on Instagram and she posted a picture of the cutest clutch and I simply have to have it. Palm trees!!! The right size for a little ice cream money, sunscreen and camera to capture all of the fun. Mother's Day is coming up and any of these would be perfect for the sunny beach lover! Happy hump day friends! 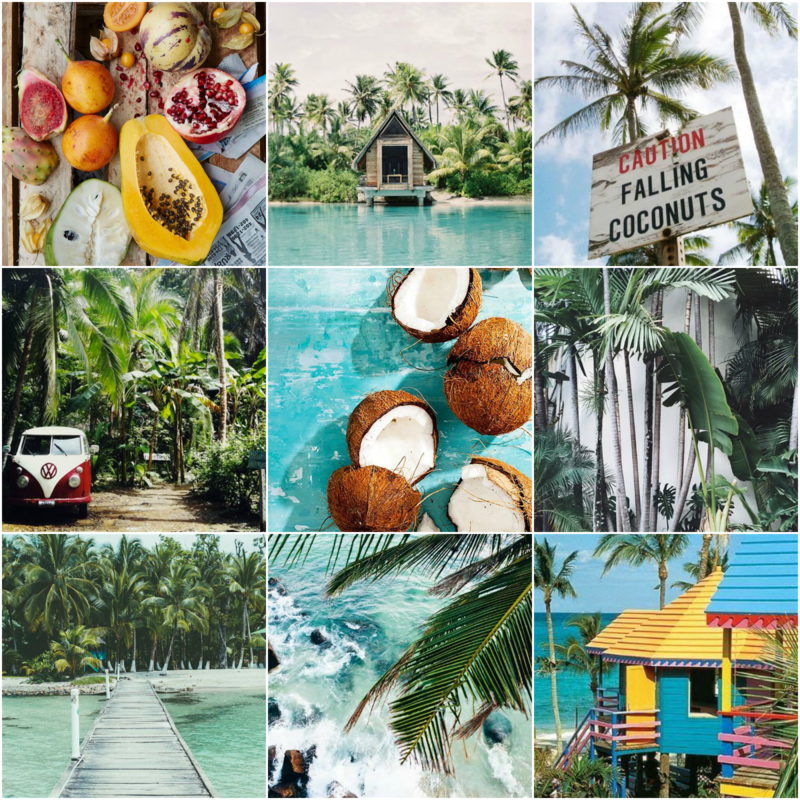 Happy shopping and sending you all tropical vibes! -XO!